Customers have admired our firm due to providing best Polymer Based Wall Putty. Patrons can avail this product from us at acceptable costs. The product has now become very common and almost every new construction be it private home or commercial construction, the market has adopted the product blindly. 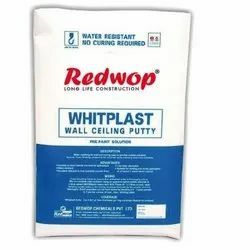 wall putty provides a smooth and even finish to your walls for painting. 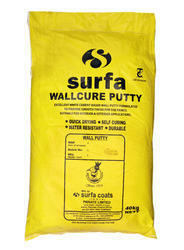 wall putty helps to protect your walls and make them more durable by reducing weathering effects, water damage, etc. Brand: Dolphin Floats Pvt. Ltd.
ECO SHINE is polymer modified white cement based wall putty specially developed for the finishing coat to cover the unevenness and pinholes created due to plastering and to prepare wall surfaces for painting or decoration. Our company has gained name and fame in presenting Powder Wall Putty.